In a post-postmodernist world, art historians and curators alike are feeding a surmounting impulse to categorize, and contextualize, filter, and really make sense of the massive and multiplicitous works produced contemporarily. They are fully aware that people are too smart, too armored with technology, and too connected to actually believe in movements anymore. 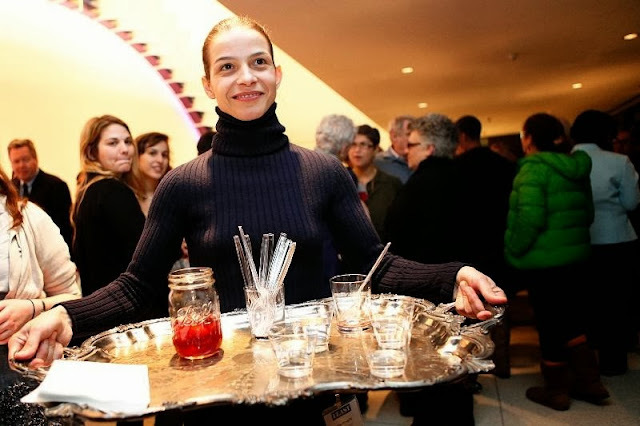 So it’s no surprise that a survey like Feast: Radical Hospitality in Contemporary Art would wiggle its way into the Blaffer Art Museum’s exhibition programming. Deriving from the University of Chicago’s Smart Museum, Feast incorporates over thirty artists, collectives, and organizations, infusing traditional work, ephemera, and live performances throughout the exhibition’s duration. Walking into Feast feels like art historical Christmas. The Futurists! Rirkrit! Marina and Ulay! It’s hard not to float around the space in a cloud, marveling at the sheer amount of work relating to food. The downside to this, of course, in floating and marveling, is that it becomes increasingly difficult to want to spend time with the works individually. Therefore, the viewer gets a very topical art historical perspective on work that absolutely deserves more individualized time. Nevertheless, the Blaffer’s curatorial staff responded brilliantly to the work. Numerous walls were added assumedly for the practicality of fitting it all, but the way they addressed the architecture felt like carved out domestic spaces. It openly and fluidly guides the viewer through various components of the exhibition, through art historical and relational aesthetic sections. On its website, the Blaffer makes this claim of Feast: “the exhibition defines an important new category of contemporary artistic practice—the artist-orchestrated meal.” While the exhibition certainly makes a compelling case, it’s hard not to read this statement with a healthy dose of skepticism. In all of its postmodernist malaise, does our contemporary art world really need another context? And should work be contextualized by its material instead of its meaning? 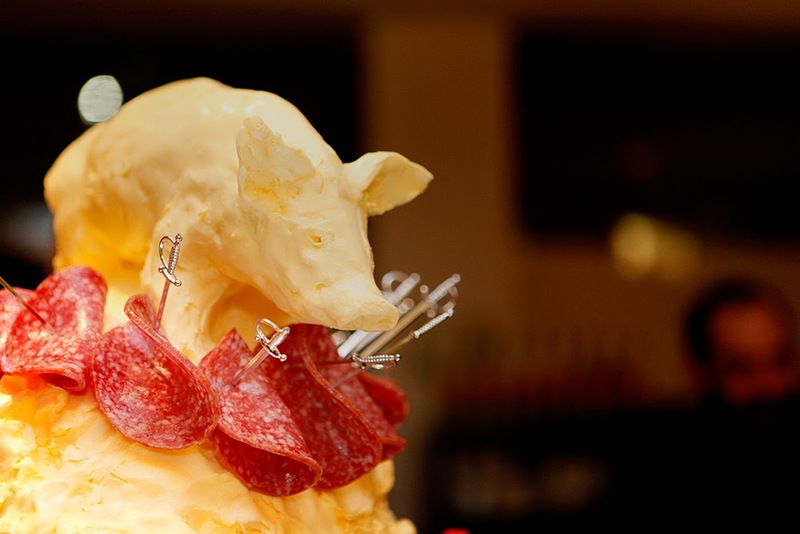 It becomes clear fairly quickly in examining the work that these artists are using food as a tool to address subversion and conviviality among other things as opposed to a concept. Regardless of whether the Blaffer’s claim can actually be substantiated, it does raise important questions like these. And in its categorization, Feast shines a new light on already canonized and frequently viewed work. A good example of this is Untitled (Portrait of Ross in L.A.) (1991) by Felix Gonzalez-Torres. As the viewer enters the space and turns toward the main galleries, she encounters a mound of shiny and colorful, metallically wrapped candies piled in the corner. 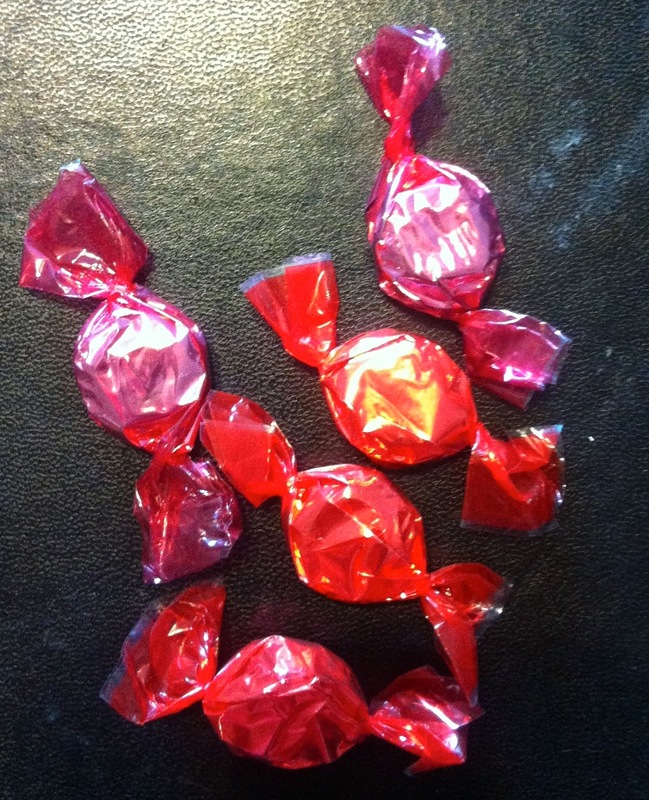 She is welcome to take a candy, decreasing the total weight of the work whose sum was equal to Gonzalez-Torres’ partner Ross before he fell ill and eventually perished from AIDS. Even with its shiny and even outlandish colors, Portrait of Ross is an understated and tragic piece that becomes decimated as the viewer consumes it. It is a politicized work that vocalizes the AIDS crisis and gay relationships. But in Feast, and in its adjacency to convivial pieces, it feels more loving and celebratory, as if Ross is being disseminated and thus remembered. As the museum placard makes clear, these aspects were always inherent in the work, but in this context they become highlighted instead of overshadowed by its political outcry. As the viewer advances through the space, she encounters many works by relational aestheticians. 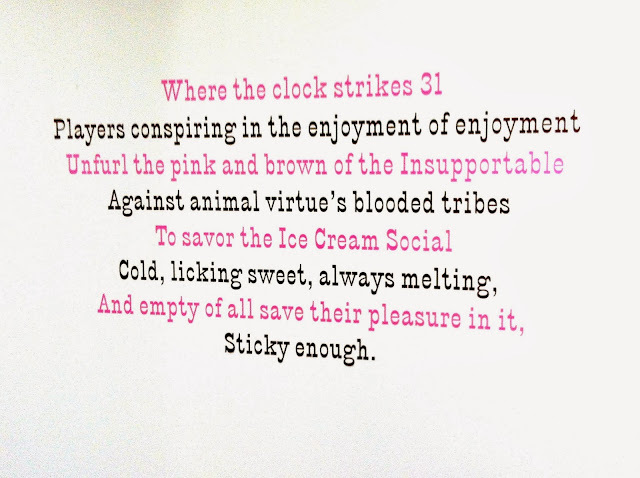 One such work is David Robbins’ Ice Cream Social (1993-2008). 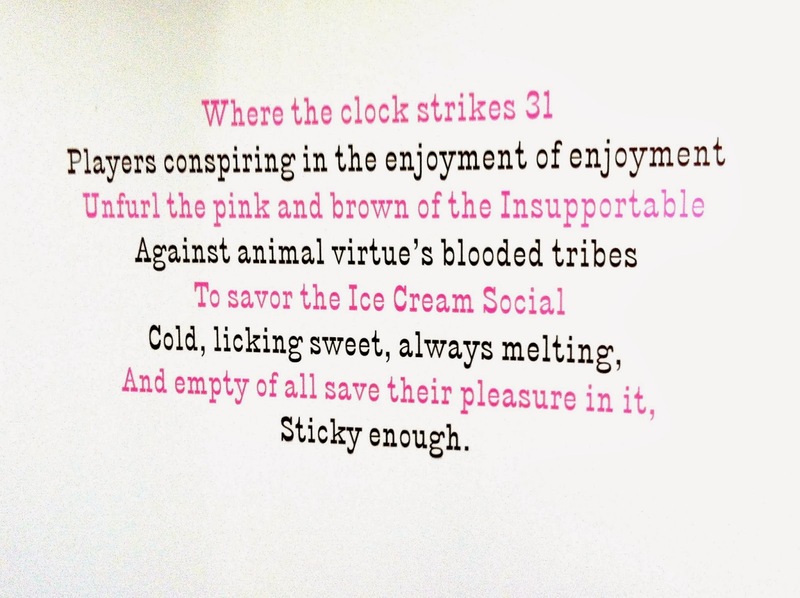 From a TV ad to a book to live performances, Ice Cream Social employs various components and ephemera, most of which are represented here. 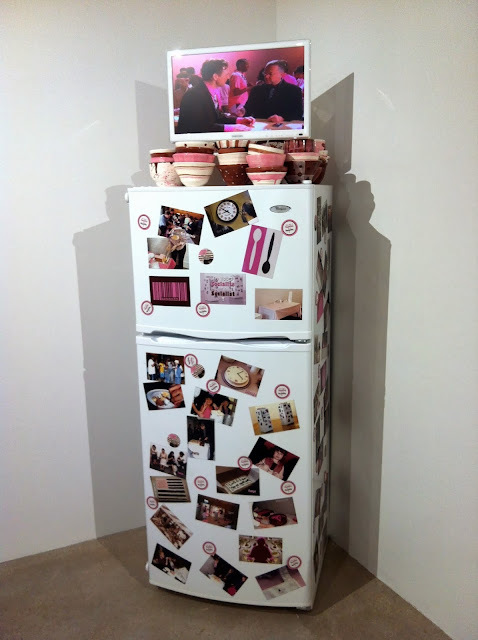 The main idea is that Robbins hosted live ice cream socials in various locations throughout the world, the documentation of which takes the form of refrigerator magnets. The gatherings are meant to raise questions of consumerism and invoke awareness of how we are manipulated by the mainstream. While this is thoroughly tread and yawn-worthy territory for artists, it is Robbins’ sincerity and handling of the subject matter that makes the work so compelling. Where most artists would (and do) simply criticize capitalist consumerism as the source of greed and wastefulness, Robbins seems equally enamored with the mainstream as he is disgusted. And the comical TV ad in conjunction with the book adds multiple dimensions and complications to such a typically over-simplified concept. It is nearly impossible to carve out the time (and find a place to sit) to read the entirety of Robbins’ book, but the invocation plastered on the wall seems to get to the heart of the matter. Wrought with vivid descriptors, the invocation chanted before each social is dangerously evocative, like a euphoric claustrophobia. As the final line of the invocation states, Ice Cream Social is sticky enough. In commissioning work from Houston mainstays like Lynne McCabe, Gabriel Martinez, and Miguel Amat, the Blaffer made the astute decision to add local flavor to an already established exhibition lineup, and the payoff is huge. As the fourth largest city in the country with a burgeoning art scene, the work coming out of Houston ought to be taken more seriously in a greater contemporary context, and the work shown here holds up astoundingly well with its counterparts. Other than flowing seamlessly and appropriately with the other work, it also raises additional questions that weren’t as prevalent in the rest of the exhibition. Amat’s Ghas I (2013) effectively takes Feast down a chilling and sinister cul de sac. “Ghas” is a Sanskrit word that simultaneously indicates eating, burning, and devouring. And as he interviews a military interrogator over dinner, Amat guides us through a lonely and intimate path. 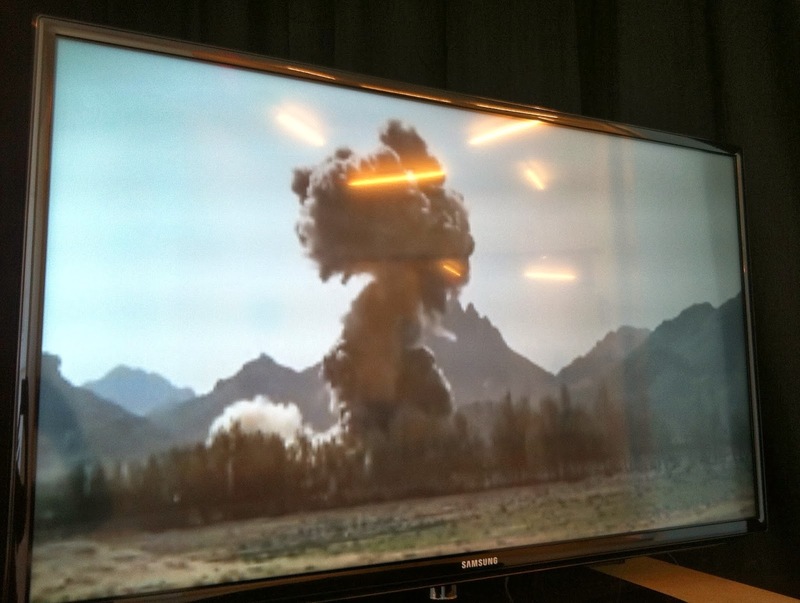 He overlays the audio with original footage of villages being bombed and soldiers being blown up by mines, a military video game, and strange footage of a soldier wearing what looks like a Speedo and a sports bra chasing chickens in the desert with a machine gun. The conflation of these visuals moves the viewer from reality to fantasy to surreality, making the very straightforward conversation between Amat and the soldier that much more disturbing and layered. As they eat, the soldier describes “interviewing” (interrogation) tactics, and he says that despite preconceptions, kindness is actually the most effective way to get prisoners to talk and divulge accurate information. He says that over time, through feeding and hospitality, the prisoner becomes his own worst enemy. And not even halfway through the conversation, it becomes obvious that Amat is manipulating the soldier through food as the soldier was manipulating his prisoners. As they eat and talk, the soldier becomes less and less guarded, providing more and more lurid details about what he did and how it affected him after the fact. While making claims that can arguably be unsubstantiated, Feast: Radical Hospitality in Contemporary Art provides a lush and provocative breeding ground for art historically relevant, current international, and local works that make fresh associations and ask exciting questions. Other than executing smart curatorial decisions, incorporating work like this into its exhibition schedule seems appropriate given the museum’s proximity to a pedagogical institution. Other than needing to feed their hawkish and overly zealous gallery attendants horse tranquilizers, with Feast, the Blaffer overwhelmingly gets this one right. 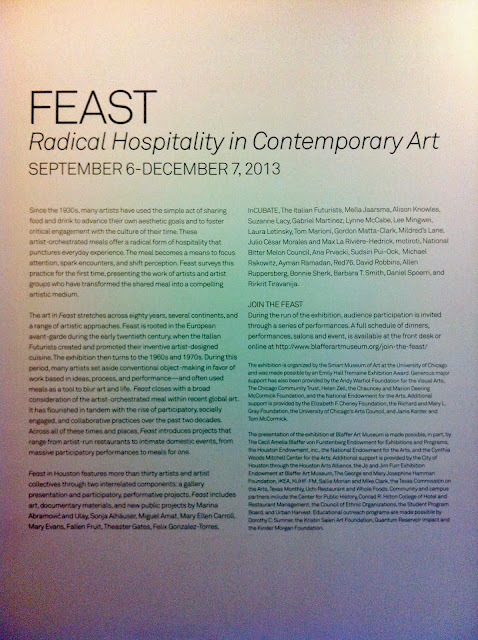 Feast: Radical Hospitality in Contemporary Art runs until December 7, 2013 at the Blaffer Art Museum at the University of Houston.